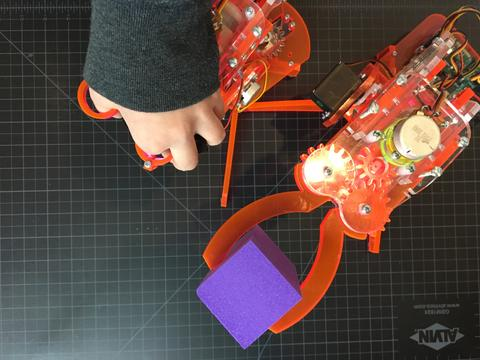 Introducing Cubroid’s second robot project: ARTIBO! 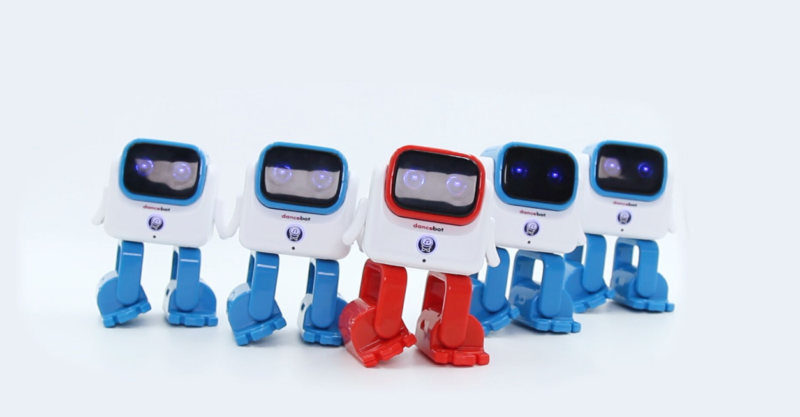 Cubroid originally launched in 2017 with its AI educational Coding Blocks and is back with a new robot for coders, non-coders, kids and adults all alike. 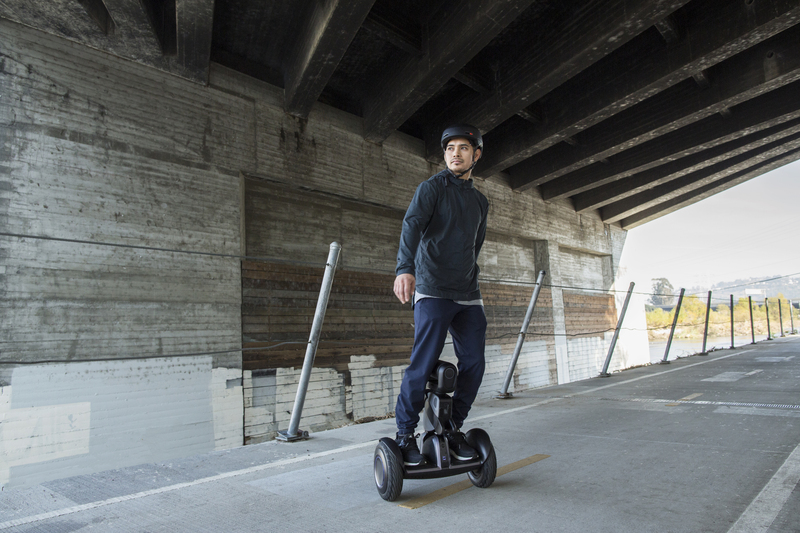 Only having been showcased at trade fairs such as The International Consumer Electronics Show (CES) and The Mobile World Congress (MWC) so far, Cubroid will now make Artibo available to general consumers. Currently robots trendy among those with interest in such technology. However, going forward, robots will have a huge influence on people’s daily lives as a whole. “We put our best effort forward to make everyone who is interested in robotics have an opportunity to easily enjoy this robot. That’s why being well-designed and functional is key in how Artibo was created” says CEO and Founder, Mark Shin. 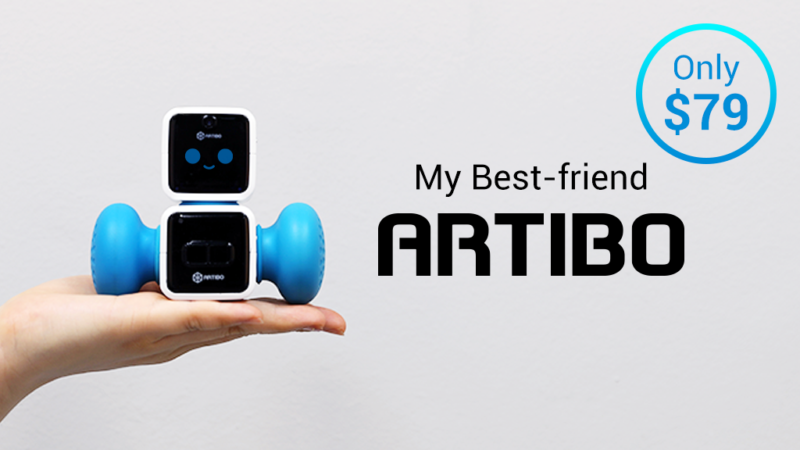 Artibo is your very own AI best-friend, designed to make daily life that much more simple. An at-home assistant that is small enough to fit anywhere and also efficient enough to go anywhere you go. Artibo comes with an AI block (which houses the camera, microphone, speaker and LED screen), a motor block, a connector block (to join the AI and motor block) and silicon wheels. With separate (but buildable) parts, you can separate the AI block and place it on your desk while you work or connect all the parts and have Artibo follow you from one room to the next. With Artibo, buying multiple to have one in every room is unnecessary. The features you would like your Artibo to display are customizable from a list of features such as walkie-talkie, scheduler, music, voice recognition, and many more. Each feature having a corresponding display that is shown on the LED screen. Keeping with the core of what Cubroid does, you can also code Artibo for even more personable interactions and functionality. 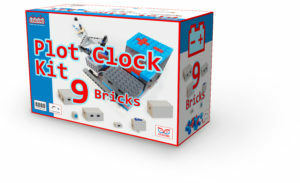 Kids can also continue their coding education from coding with Cubroid Coding Block to now coding with Artibo. On Kickstarter preorder of Artibo will be available from July 31st 2018 to September 30th 2018. With Super Early Bird prices starting as low as US$79. 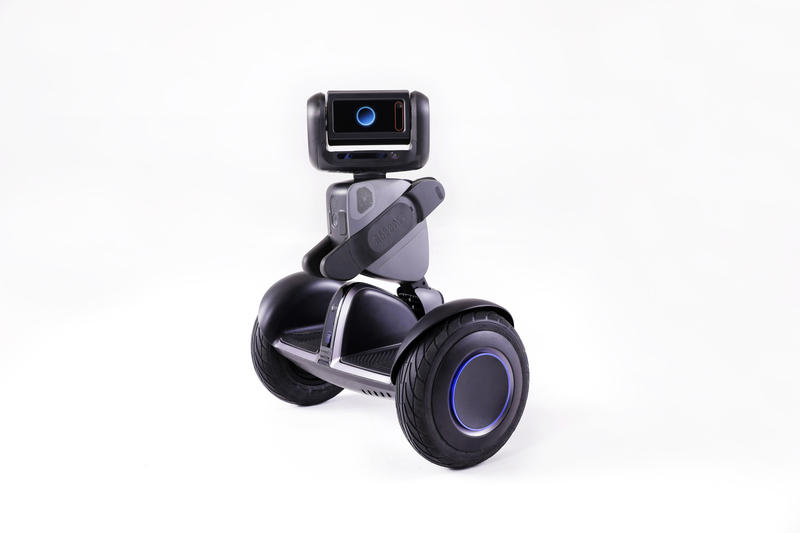 Artibo’s prices are set so low to give as many people as possible the opportunity to afford and experience such a robot. After achieving the set goal, Cubroid estimates manufacturing and delivery to be completed by the end of November 2018. We proudly introduce you to your own AI robot: Artibo! XIAMEN, FUJIAN, CHINA –There’s a new robot in town, and it’s about to become the hottest tech toy around. That toy is TacoBot. 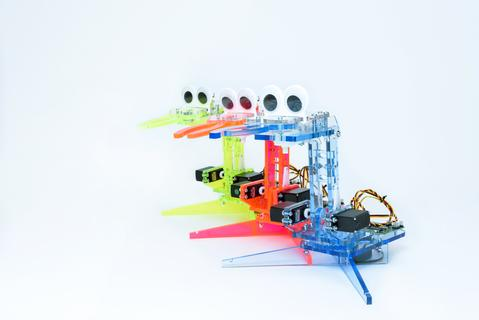 Designed to help children learn to code, this colorful stacking toy was developed by RoboSpace to facilitate STEAM (science, technology, engineering, art, and math) education. RoboSpace has launched an Indiegogo campaign to accelerate the launch of TacoBot, which is sure to become the new “must have” toy for children starting at age four. 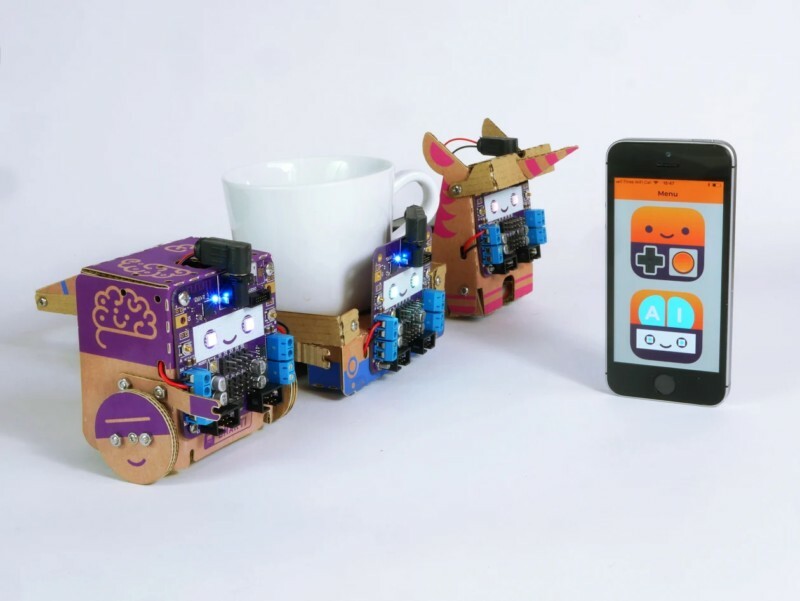 TacoBot teaches children to code with screen-free or drag-and-drop coding that allows them to build critical thinking and problem-solving skills while they are playing. 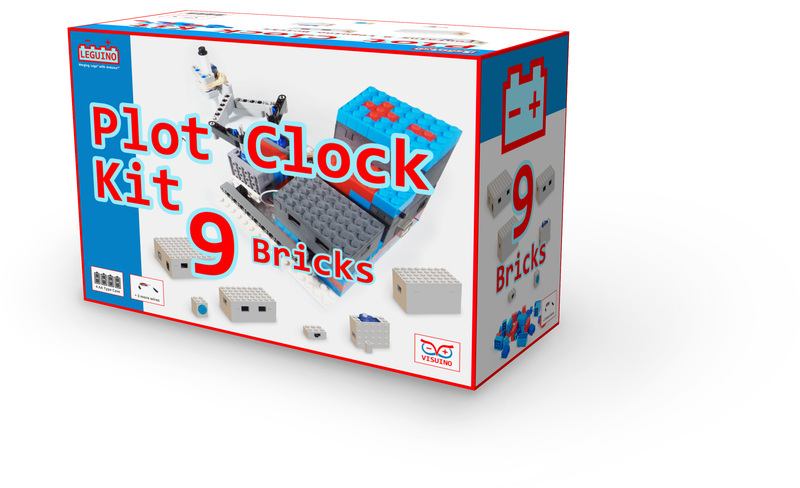 With TacoBot, children can simply stack pieces to create their own special robot. 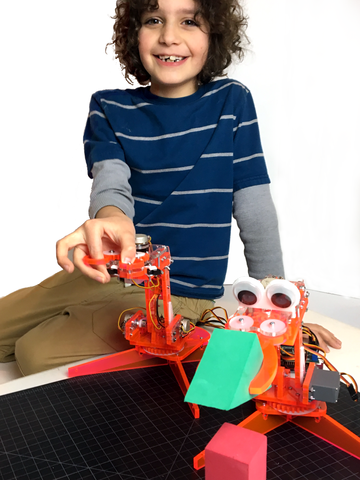 Because stacking is the “most intuitive and simplest construction method,” TacoBot enables children to explore, create, and code a variety of robots and then play with them immediately. This stacking method suits both the hands-on capability and comprehension levels of children from very young ages. Once built, the TacoBot gives children instant voice feedback to help them better understand and interact with their toy. In addition to the basic parts, children can add shovel, plate, and catapult extensions to their TacoBot to expand what their robot can accomplish. 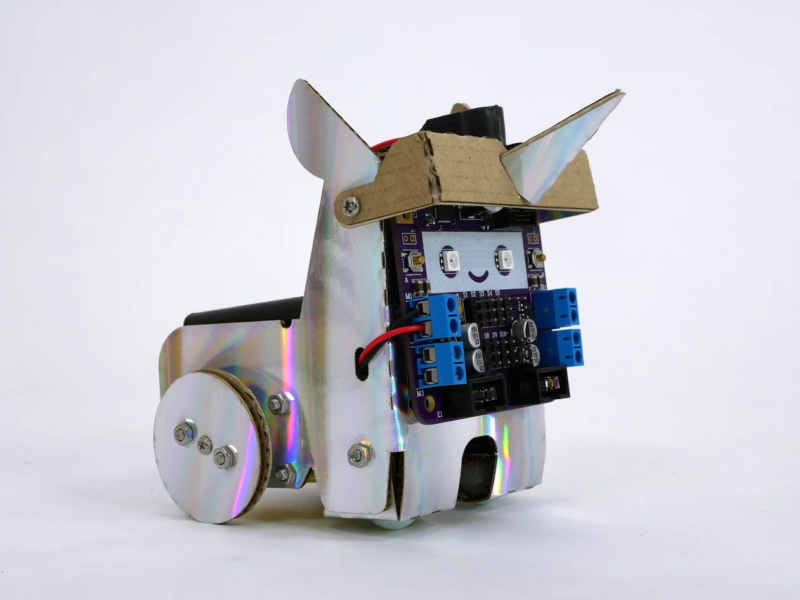 With the basic parts and add-ons, children can program their robots with a wide array of functions, from going on patrol, to storytelling, catapulting, and dancing and singing. They can send them into battle or have them clean up toys. TacoBot will even interface with and assemble Legos to create hours of fun. That is to say, one TacoBot quals to a coding robot, a modualr robot, a accompany robot and more. Two different TacoBot kits will be available for delivery in November. The basic kit includes the programming hat, head, body, base, and a free app. 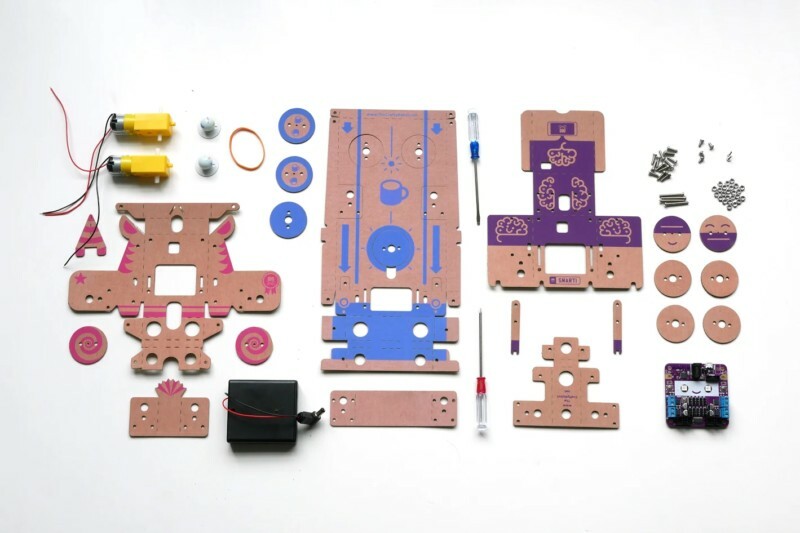 The Happy Kit includes the basic kit along with two additional sensor hats and the shovel, plate, and catapult extensions. For an additional $5, grab a USB Bluetooth adapter to allow control and programming of the TacoBot by PC (supports Windows 10/8/7/Vista/XP). The adapter will be regularly priced at $10. Visit the just-launched Indiegogo campaign to support the project and grab your TacoBot: www.indiegogo.com/project/preview/9e736306#. To learn more about TacoBot or see it in action, visit www.tacobot.net or watch our product video at www.youtube.com/watch?v=Ed6IEVK982A. 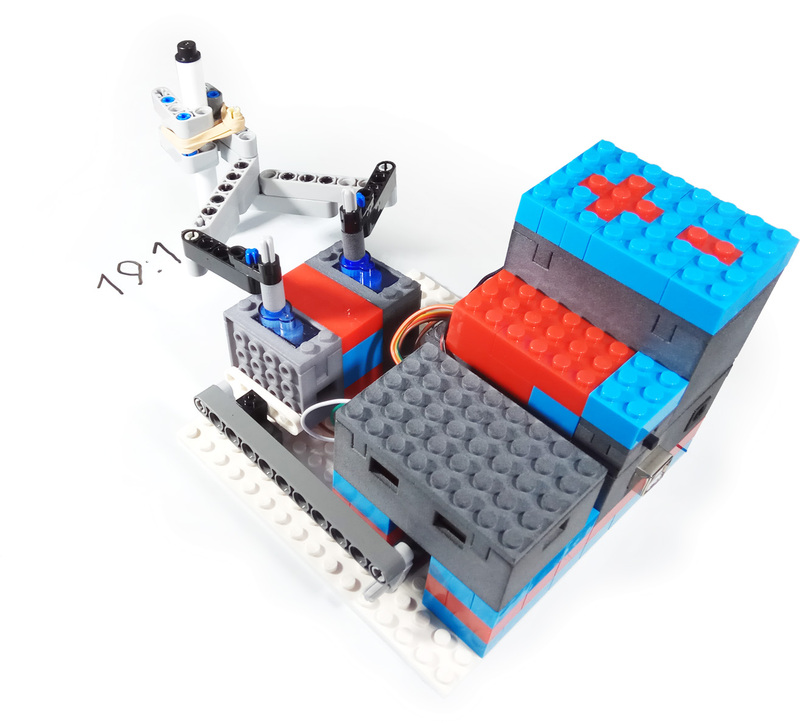 BELFAST, UK – March 2018 – Leguino is debuting on Kickstarter to fill the gap between two worlds of creation: LEGO® and Arduino™. The Leguino parts contain Arduino™ and Raspberry Pi compatible electronics and houses them into LEGO® compatible brick cases. Leguino delivers standard brick compatible cases for common Arduino and Raspberry Pi electronic components to enhance LEGO® projects and opens them to endless possibilities. The Leguino founder Urs Markus Ernst Streidl has a demonstrated track record for successfully founding companys over 25 years. He has a degree in computer sciences and economics and has (co-)founded 8 tech companys. He is the winner of the German nation-wide Start-Up competition in 2006. He lives in Belfast, Northern Ireland where he cofounded one of his last ventures, BrainWaveBank LTD (one of the hottest Startups in Ireland). This venture has secured in excess of $1.5M in seed capital and R&D funding to date. Leguino is the first project which integrates the knowledge of his own children (ages 7 and 9). They are the pros and enthusiasts at Leguino. 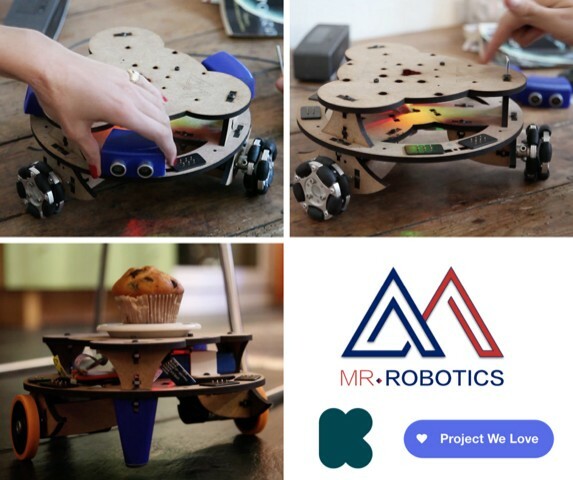 Lille – France – February 14, 2018 – Robby, the first robot entirely hackable and adaptable, with Plug & Play extensions to awake your creativity, has now reached more than 55% of its goal on Kickstarter (http://kickstarter.mr-robotics.com). Robby is the spark of curiosity everyone need to learn and create. Our evolutive robot is simple enough for beginners to learn step-by-step programming & robotics and powerful in order for the most advanced ones to create, prototype and use it as an open-source working base. 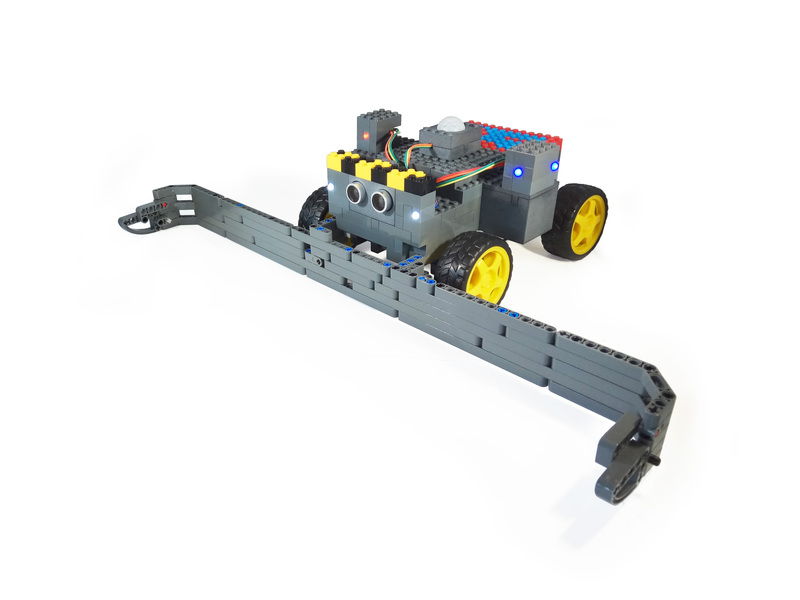 Program the robot with an intuitive Arduino library, lots of examples, tutorials, and a visual programming editor. For the most advanced one, you can participate to the open-source library and add your own functions. Our goal is to stimulate the curiosity of everyone. We believe that learning complex disciplines can be achieved intuitively and with fun. 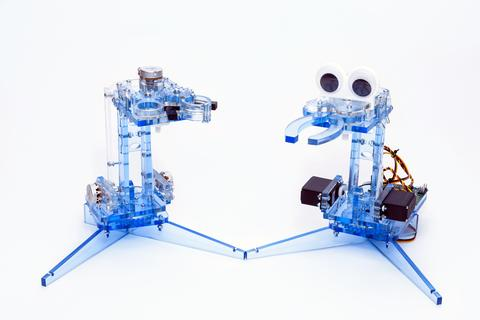 Based on modularity and simple programming, our robots are designed to familiarize you with robotics, introduce you to programming and realize the most ambitious technological. But beginners aren’t the only one who will enjoy Robby. Based on an ARM Cortex-M4F 32 bit 120 MHz microcontroller, with a 12V extra long life Lipo 3S battery, DC-12V precise motors and incremental encoders, advanced ones will be able to program quickly a powerful platform that will be completed with DIY modules (breadboard sensors and extensions). From the simple proximity sensor to the multi-articulated arm or the DIY sensor, several dozens of different configurations are possible and available to you! So don’t wait any longer to imagine and conceive! Robby can be used as a slaved robot, in order for everyone to discover, prototype, learn and create. Mr. Robotics has worked for over one year to bring Robby to market. 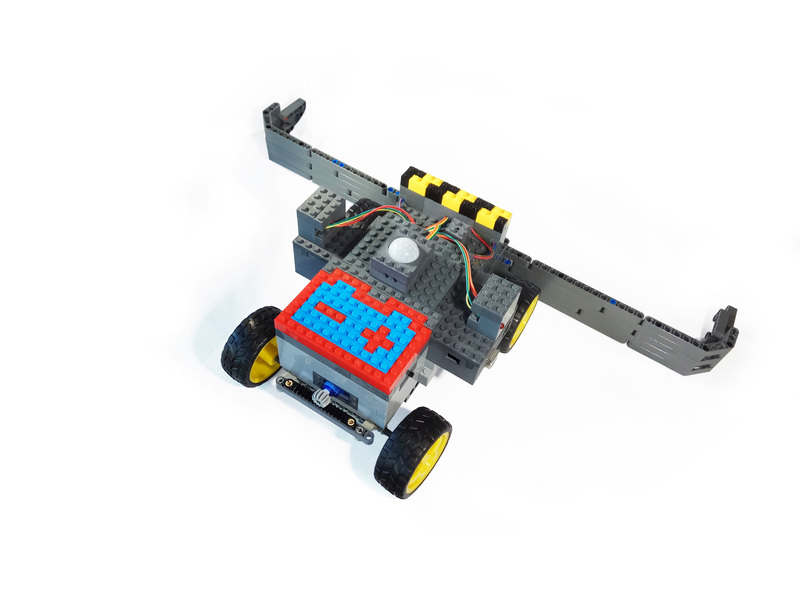 After dozens of prototypes and R&D testing, we have validated and tested our robot. The time has come to move forward with making Robby available to everyone, and that is why we launched a crowdfunding campaign. Find out more about the crowdfunding campaign at Kickstarter or on our website. We are three French students, who have launched the project one year ago. Olivier is currently doing an Engineer School at ENS Paris Saclay and working on the hardware and software. Guillaume, an alumni of Supmeca Engineer School, is currently focusing on the design and the production of the robot, in order to deliver everyone in time. Mathieu is at EDHEC Business School in Lille and manages the Marketing and Sales part.